If you red my previous Post, you learned how to create Task Calendar, and force Resource to work on it on weekend. Is there another way? Yes it is! Credits to my Blog Reader for this post. Let’s say that we want to have a Task with 7 days duration. Of course I’ll use MS PROECT 2013. As you can see the Start, and End date didn’t change! Suppose that I want that this Task should start at Monday, 01.07.2013., and end at Sunday, 07.07.2013, and I want Mary to work on it, but I don’t want to assign any Task Calendar to the Task. 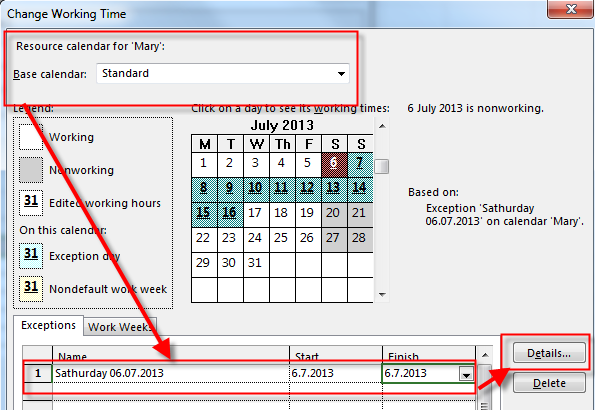 As you can see, Mary will not work at second weekend for the Task 2. 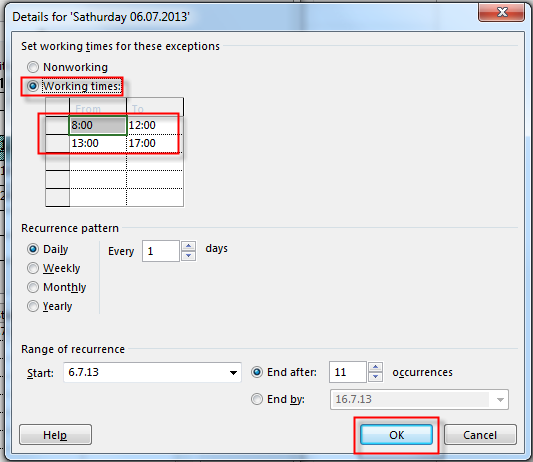 Now you may ask: Why shell we use Task Calendar at all?. Now suppose that I have Task 2 with 7 days duration, at the same time as Task 1, and Mary will work on both Task with 50% assignments. As you can see Mary will works on both Tasks, and for both Tasks, she will work during the weekend. But, what if you want that she works during the weekend only on Task 1, but not on the Task 2? Then you must use Task Calendar, because this kind of Calendar is tied to Specific Task (or more of them). 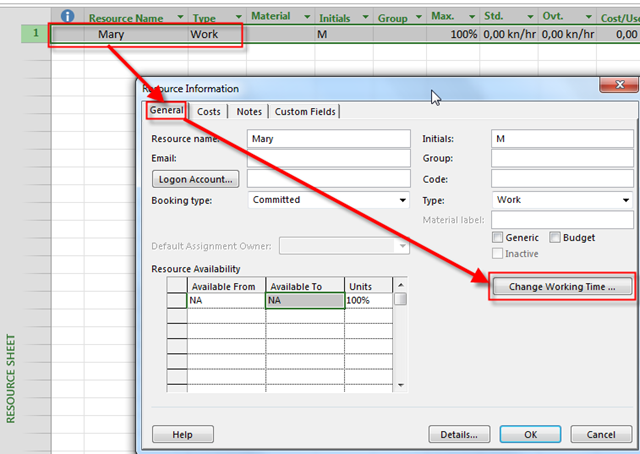 And finally, if you have a Resource pool, for example, and you Assign Mary to work on 5 Projects with 20% assignment on each Project, with Exception for Saturday 06.07.2013, and Sunday 07.07.2013, she will works on every project during that weekend! This entry was posted in MICROSOFT PROJECT, Microsoft PRoject 2010, Microsoft Project 2013, MS PROJECT 2010, PRoject Management and tagged Microsoft Project 2010, Microsoft Project 2013 - Calendars, MS PROJECT, Project Management. Bookmark the permalink. I really appreciate your blog…helps me immensely. I would really be grateful if you could help me on tracking resources exact hours on a standard calendar. I am interested in know resources estimated hours and actual hours worked whilst tracking these both against the standard calendar. NT, Thx so much!!! You are the Guru! Confidentiality Notice: By reading this project presentation and supporting documents, the reader acknowledges the international and US intellectual property rights of Robert P. Tomko et al. By reading this project presentation and supporting documents, the reader acknowledges the international and US intellectual property rights of CS Production (www.cs-production.tv) for the concept and membership this presentation outlines and exposes herein. This e-mail message and any/all of its attachment(s) is/are intended for the the party(-ies) named herein and is/are not to be used for anything other than what is/are specified within this e-mail message and any/all of its attachment(s).And all ideas, concepts and verbiage are protected under NDA/Confidentiality Agreement.